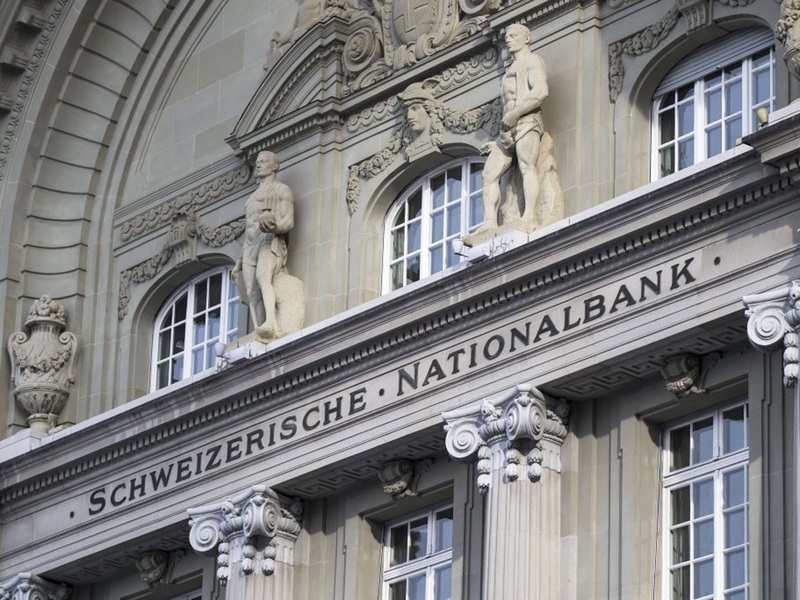 Earlier today the Swiss National Bank reported a record CHF50.1 bln loss. It has got the chins wagging, but the real implications are minor. The losses are not realized and are unlikely to be repeated. In fact, if the SNB's report had covered the month of July, the loss would likely have been smaller. More of the SNB's loss stemmed from the valuation of its foreign currency holdings in the face of franc appreciation, especially after the cap was abandoned in mid-January. Here in July the franc fell nearly 3% against the US dollar and about 1.3% against the euro. These two currencies account for nearly 3/4 of the SNB's reserves. The franc fell 2% against sterling and 1.5% against the yen. These four currencies together account for nearly 90% of the reserves. It addition to the currency valuation markdown, the SNB reported a CHF3.2 bln euro loss on its gold holdings. Gold lost another 5% in July in franc terms. These losses reduce the SNB's equity to CHF3.425 bln, which amounts to just shy of 6% of its assets. There are two implications, and they have nothing to do with the solvency of the Swiss National Bank. The first implication, and one that central banks are sensitive to is reputational risk. If the central bank losses money, doesn't it undermine its credibility to manage the country's economy? While it is difficult to show that the SNB's reputation has been harmed, its performance provides its critics with fodder. Switzerland's parliamentary election will be held in mid-October. These losses allow for a politicalization of monetary policy that may not be particularly helpful. A couple of parliamentarians are pressing the SNB to adopt a new cap for the franc (euro floor) at CHF1.15. While this is highly unlikely to be implemented, it illustrates the frustration with the franc's appreciation. The SNB appears to have been given a free pass on its effort to stem the rise of the franc. In 2013, Switzerland's current account surplus was 10.7% of GDP. Last year, it fell back to 7%. The OECD expects its to be 10.1% of GDP this year and 10.5% next year. Countries with such substantial surpluses often come under international pressure to reduce the imbalance. However, a closer inspection of the Swiss current account composition suggests that it is not particularly sensitive to currency appreciation. There are three main drivers of the Swiss current account surplus and trade is not one of them. First, the largest contributor is from investment income. These are mostly coupon and dividends on foreign portfolio investment. In this context we note Japan is evolving in the same direction. Its investment income often overwhelms the trade balance on the current account. Second, financial services are important but are not driven by currency fluctuations. Third, officials point to what is called "merchanting." It is the sales of goods that do not cross Swiss borders. This arises primarily from the commodity trading businesses that are located in Switzerland. This activity can account for 1/4-1/3 of the Swiss current account surplus. The other implication of the SNB's loss is that it may be unable to make its customary payout to the federal government and cantons. Some cantons depend on payment from the SNB to reach their fiscal targets. The failure to make a payment in 2013 due to the fall in gold saw criticism heaped on the central bank. 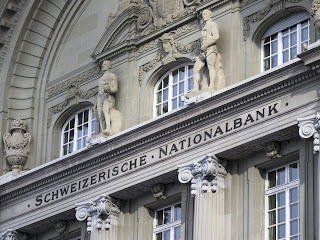 The record loss of the SNB is embarrassing, and it gives its critics fresh ammunition ahead of the national election. It could squeeze the finances of a few cantons, but it already has distributed CHF1 bln earlier this year based on last year's profits. Its losses, largely an accounting function and not realized, is of little economic or financial consequence.